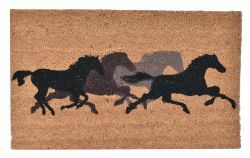 Running Horse Design Outdoor Door Mat. 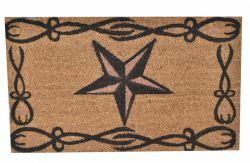 Western Star Outdoor Door Mat. Cast Iron Dinner Bell with Standing Horse. 37" x 12" western saddle wind chime. Driveway markers. Constructed of metal, featuring 2 different designs. Shipped in lots of 12, 6 of each design. Rain guages. Constructed of metal, featuring 2 different designs. 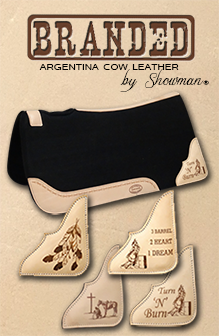 Shipped in lots of 12, 6 each design.